1890. 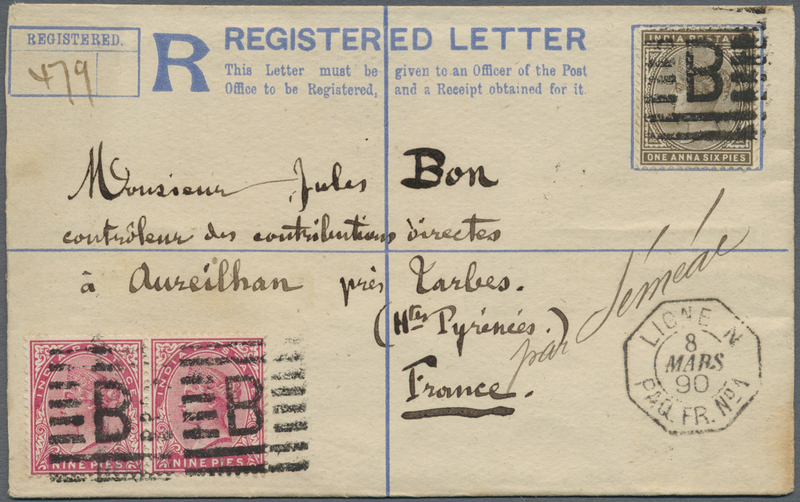 Registered postal stationery envelope two annas blue upgraded with India SG 86, 9p rose (pair) and SG 88, 1a6p sepia tied by 'B' obliterator with Aden/Reg on reverse 'Mars 7' sent by French paquebot with octagonal 'Ligne N Paq. Fr. 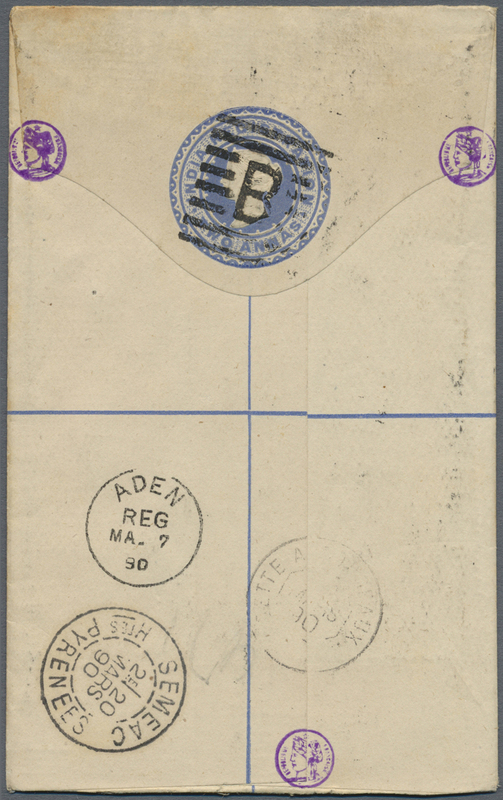 No 1' date stamp addressed to France with Semeac arrival. Very fine item of registered mail.